Sean’s HUGE Signed Book Giveaway! Home \ Sean’s HUGE Signed Book Giveaway! UPDATED POST! 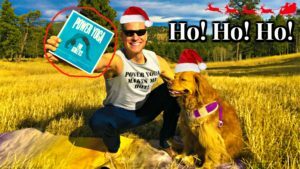 DRUMROLL: Due to overwhelming interest, I’m giving away 3 MORE autographed copies of my Bestselling fitness book, Power Yoga for Athletes for this Christmas and Holiday season! Watch the video below and tell me what’s the BEST Pilates slogan you can think of for me to add to a new workout shirt? For a chance to win YOUR very own copy leave your delicious idea in the comment section on the YouTube video. Get those creative juices flowing and maybe you’ll have an extra reason to celebrate this year! Power Yoga for Athletes Autographed Book Giveaway!